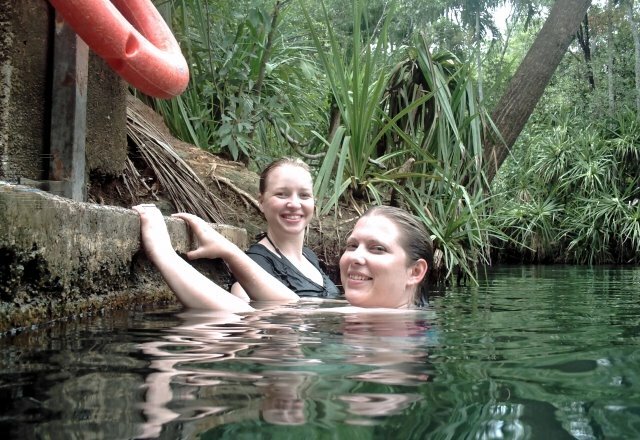 Today we headed off with Kate and Nicole (from work) to Berry Springs about 60km south of Darwin for a swim in the pools. 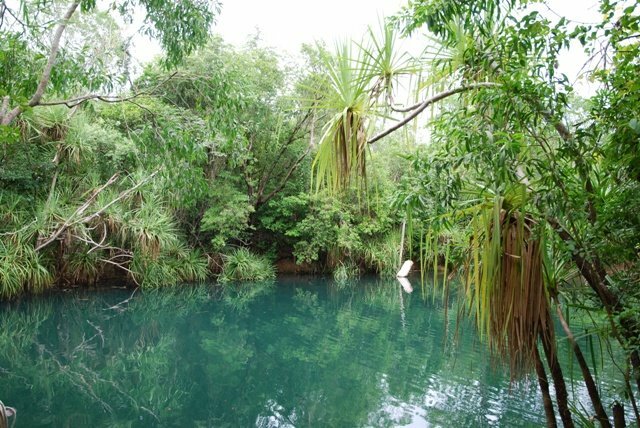 Berry Creek begins as a series of springs, forms a small creek, then reaches Darwin Harbour through a mangrove lined estuary. 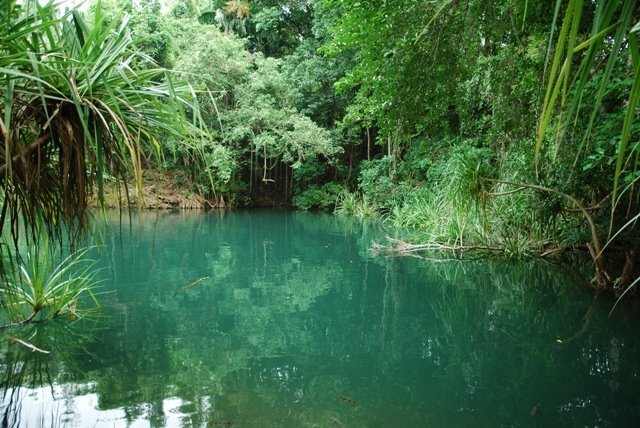 There are three main pools along a length of the creek, beginning with a small waterfall and shallow pools running into larger, deeper po ols and finishing with a small weir. During World War II, Berry Springs was part of a rest and recreation camp set up by the armed forces for the 100,000 personnel based in the area. A number of huts and weirs were built at Berry Springs during this time. We arrived early to avoid the crowds and little people – hopefully, which we did. Even though it was overcast it was still quite humid and about 30 degrees.